Who is Daewyn? Is that even my real name? How am I as a person? What do I do in my spare time? All this and much more will be answered over the next couple of months in this series called “Get To Know Me”. So, who am I? Well, I’m a civil engineer with a master in energy engineering, and I currently work with building permits. And no, Daewyn isn’t my real name, but I’ll get to the story of that in a later post. I have a wonderful husband and we live in a condo north of Copenhagen. I love blogging about makeup and beauty. 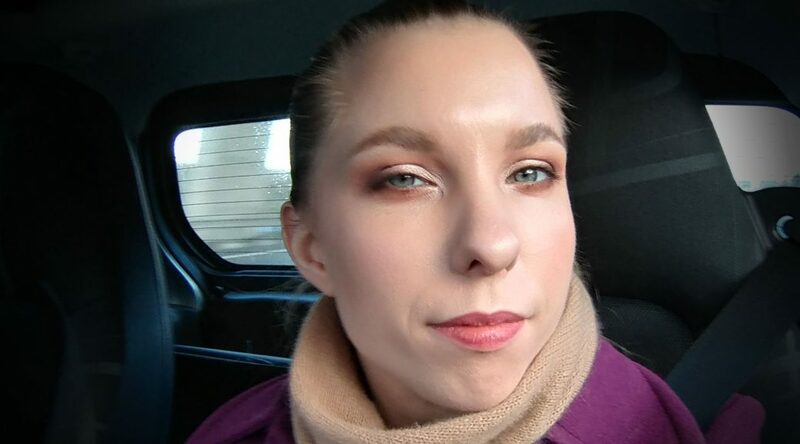 Ever since I discovered eyebrow pencils and got my first eyeshadow palette (the Urban Decay Naked 2- recommended by a Swedish blogger who unfortunately isn’t active anymore) I’ve loved makeup. I have since then bought quite a lot of makeup and still want to buy a whole lot more – yes, I am a makeup addict! Bullet journaling is another love of mine. I got into it in the beginning of 2017 through a video Lily Pebbles did on her bullet journal. There’s just something about writing my plans into a physical book that makes it that much more manageable. It’s also really amazing to browse the web for inspiration for layouts – there are so many talented people! (though I often lose a couple of hours doing this). Photography is also something I thoroughly enjoy, and I’m constantly learning more about techniques and editing and am very eager to learn much more. I feel like you can never know enough when it comes to photography. Working out might seem like a strange hobby to have, but I love seeing progress in how much I can lift and how my body looks. At the moment I work out 5 times a week, with a different muscle group each time. That way the workouts are short but efficient so I have time to do other things. Last, but certainly not least, is creative writing. I love creating a world and realizing it on paper. I’m still very “green” but I try to practice and write as much as I can. I have a lot of stories in my head that I want to write, so I have my work cut out for me. All in all, I have a lot of hobbies and nowhere near enough time to do them all. If only the day had 26 hours in it – or I didn’t need to sleep :D.
Stay tuned for much more information about who I am and what makes me tick! Feel free to introduce yourselves or ask me questions in the comments – I would love to hear from you guys as well.